Reaccionestudio is a web development and graphic design studio founded by young people from Spain who love web development, graphic design, photography, video production, etc. 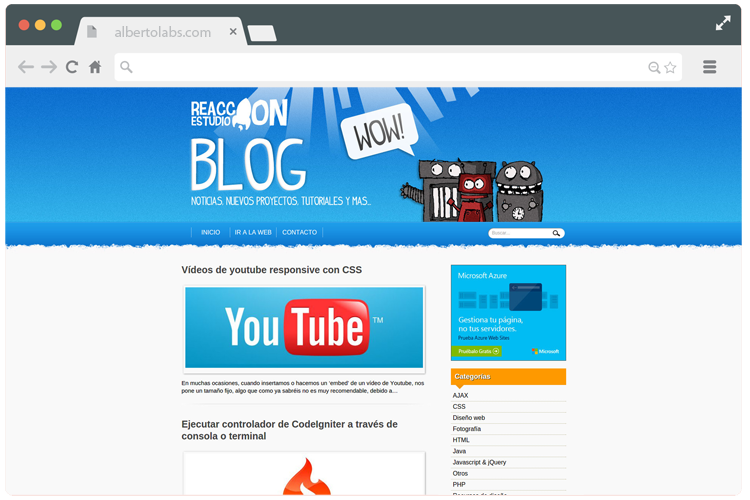 Reaccionestudio blog has been developed with Wordpress. Here they post tutorials, tips, snippets, news and new projects.